As I write the title above, I have to admit that this isn’t a show report at all. How can it be when I was stuck in the Lakeshore B ballroom or out front at the sales table from 8:30 in the morning until past closing time at 6:30 pm. I have nothing to report on the rest of the show. I did hear from a number of visitors that the usual stuff is going on in the other ballrooms and smaller rooms in the tower. My wife and I had left our room in mid setup (the audio was all hooked up and working) in order to drive to Mohamet to visit my brother and his family (triplet 16-year girls!). Getting there and back involved 5 hours of driving. So I had to get back to the venue early to put up our banner and set up the new UDP-205, clean up the demo room, and unload all of our products. We managed to get the banner mounted to the wall behind our tables but early birds starting showing up to hear our room and purchase a few Blu-ray discs. I swiped my first credit card at 8:30 am and never looked back. The crowds were good. In fact, Fridays are sometimes the best day of the show because people the really want to be there take the day off work to visit and listen. It’s always nice to see familiar faces and light up the faces of new AIX Records listeners. Dr. Harvey came by and shared the story of his wife commenting on the transcendent sound of Laurence Juber’s “Guitar Noir” DVD-Audio disc. He told me it was the first time she had ever told him, “it sounds like the man in in the room!” And then David H. revisited my room with a wonderful bottle of wine to thank me for transforming his listening experience. His email and comments from several years ago were over the top and he’s become an advocate for my little company by writing to the audiophile press about our remarkable productions. We usually get overlooked by the big magazines but I can tell you that Chris Martens, Steven Stone, and Steve Guttenberg came by yesterday to listen and chat. That was certainly encouraging and I think they were impressed. I happened to be in the elevator when two individuals bumped into each other. One asked the other what he was up to and he mentioned that MQA was having a large impact on his business. I interjected a question, “In a good or a bad way?” He replied, “In a good way.” I smiled and exited the elevator. The more I speak with engineers and other professionals, the more I realize that MQA is non-starter for me. I’ve never been able to get a true comparison of my own tracks in the format and understand why they will never come through on their promise to make that happen. The amount of “false advertising” and misinformation, the fact that equipment manufacturers can’t do anything to the digital signal (room correction, EQ dynamic processing, gain etc) without violating the MQAness of the file, and the reality that MQA can’t provide ultrasonic origami on content that doesn’t have ultrasonic information in the first place make me very dubious about the technology. After playing my tracks in DOlby TrueHD (a technology derived from Meridian’s MLP format), I have no interest of need to use MQA. All of the fidelity I require is already there. People that came out of our room were very impressed. And then there were the people that came from the rooms hosted by vendors of expensive power cords, designer speaker cables, and exotic digital interconnects. From what I heard, they’re playing from the same script as in years past. In my room, I used generic power cords and multi strips and very good cables from DH Labs (very reasonably priced). 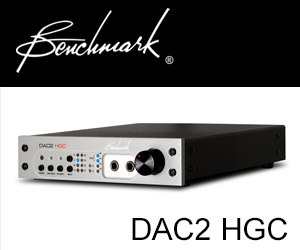 But on the table out front I used a $1.00 75 Ohm coax cable to connected the Oppo to the Benchmark DAC2 HGC. As I stated repeatedly in the room, there are three absolutely critical things in putting together a great system. The first — and clearly the most important — is the content. If the recording don’t have the fidelity to start with the rest of the signal path is not going to be able to restore it. The second component is the speakers. Having a great set of speakers is also very important. But as I’ve learned from my Emotiva experience, they don’t have to cost big bucks. The third factor is the room that you listen in. A 1 foot change in listening position will cause a 1 ms timing change in a 1000 Hz frequency component. You need to spend some time making sure you room is properly designed and treated. Attend to these three things before you spend any money on audiophile accessories, tweaks, esoteric gear, or snake oil products. Back to the show. Maybe I’ll see you. Good to have you back. I always enjoy reading your thoughts and stories. Thanks, it’s good to get back to the routine. One mSec at all frequencies (roughly). I *do* think you miss one important point about the MQA protocol. 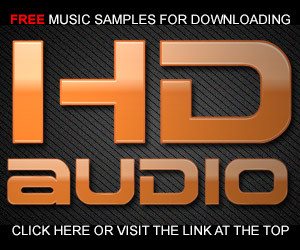 AIX recordings start out as genuine 24-96 hi-res productions and that’s for sure. I play mine back via blue-ray DVDs. But one might imagine these recordings streamed over the WWW, and in that instance the convenience of MQA origami could be welcome. We could all download a small and wieldy file that would still allow us to play back a recovered (unfolded!) 24-96 Waldrep-supervised and Waldrep-certified hi-res presentation. Does the origami threaten the integrity of the original recording, and is that why you’re skeptical of the process? Isn’t MQA in the end a system for preserving recordings conveniently? And yes, we know, it does not of itself constitute any guarantee of genuine hi-resolution results. Judson, thanks for your comment. I agree with you. For companies like AIX, MA Recording, Blue Coast, and 2L having the ability to stream out real high-resolution audio tracks requires a clever technology like MQA. Although a lossy process, MQA would provide a solution for the catalogs of these companies. However, the total number of albums produced in high-resolution (meaning tracks that have ultrasonic frequencies and elevated dynamic range) hovers around 2500. The rest of the content provided from the major labels — including ALL of the releases from Warner Brothers records — won’t benefit from folding high frequencies into a smaller file because they aren’t there in the first place. MQA is solution in search of a problem. Despite the buzz about temporal smear — all you have to do is hear a really well recorded high-resolution file in order to realize that any anecdotal claim of sonic improvement provided by MQA is not necessary. 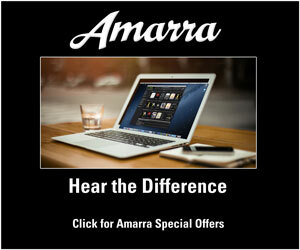 I’ve been playing my catalog of tracks for experienced listeners all weekend here at AXPONA. People are blown away. I realize from your experience at AXPONA, how little time and freedom you have to actually go for a stroll like the attendees and get a glimpse of what other exhibitors are up to. I also don’t blame for not being too enthusiastic about being witness to the unchallanged state of affairs and status quo that reigns in these shows. After all, I – as many others – come here for a breath of fresh air and to read you cutting through the hype and the false claims. Nevertheless, two posts back, and with regard to the emotiva speakers, I took the liberty to suggest you could consider open baffle speakers for next time, as open baffle speakers – as do active speakers – are the attempt to take the room out of the equation, as well as to bypass the inherent flaws of speaker cabinets. If this show’s lesson is that speakers don’t have to cost more than your car, then I think we could consider that good speakers may not need to have an enclosure, nor necessarily require a treated room, fastidious positioning geometrics and a tiny sweet spot. I would also suggest other solutions, such as Spatial Audio’s newest flagship, the Uniwave X-1, along with a DEQX HDP-5 in charge of the signal processing, with a pair of AHB2s, or why not take the next step, and reduce the total price even further, with the Kii Audio Threes, another project in which Bruno Putseys has been at the center – az Grimm Audio and of course Hypex Audio – which feature 6 drivers, 6 DACs, and 6 customized 250W NCore amps. Bruno Putseys is also behind the DAC by Mola-Mola Audio, which he developed from scratch and which according to available specs appears to outperform Benchmark’s DAC 3! I personally think DSP has still a long way to go, but I don’t exclude it from some fundamentalist audiophile criteria, as necessarily compromising the signal in detriment of ultimate fidelity. Both Spatial Audios M3s with a DAC3 and an AHB2 to drive them, or a pair of Kii Audio Threes represent a more cost effective and interesting setups, that take the room out of the equation. I would insist that you consider these and other great options out there, lile the Emotivas, which challenge the mindset and business models of the audio industry, and offer better options for those of us who love music. Camilo, I apologize for not responding sooner. I’m also open to hearing new approaches to transducer technology (that’s why I’m engaging with the Yarra3DX beamforming arrays from COmhear) but I’m not sure I’m with you on the open back approach for my recordings. I tried that at a previous AXPONA show and found the lack of focus and loss of spatial accuracy disturbing. Remember I’m mixing on a set of B&W 801s and am counting on the direct focus to provide multiple stable stereo images in my surround mixes. Speakers with open backs blur the localization of the mixes that I’ve done. That’s why I’ve stuck with direct radiators. I do fully agree with you on all three factors, but I do believe the 2nd factor – the speakers – have come under strong revision by some significant innovators, such as Siegfried Linkwitz, and especially regarding their complicated and complex rapport with the rooms that host them. Open baffles and active crossovers, as well as DSP, are solutions that have been around for a while now, and although a majority of audiophiles frown at active speakers and DSP – which limit hobbyists from tweaking and exercising their choice of components as well as harms the integrity of the audio signal, etc – recording engineers and studios have long since embraced the technological advancements made in this field. Taking the room out of the equation, rendering the speakers impervious to the room, or more precisely, actively intervening their complex rapport – although far from the predominant “innovation” of traditional brands who dish out one inherently flawed megabuck speaker after the other – people like Clayton Shaw (Spatial Audio) and Bruno Putseys (Hypex, Grimm, Molo-mola & Kii Audio) have come a long way following, appropriating and applying the lessons of the undisputed pioneer and innovator of speaker design and, more importantly, the deconstruction of the assumptions that underpin the current paradigm in audio: Siegfried Linkwitz. It is true that even the most sophisticated music lovers are likely to own conventional passive box speakers, but you being among those who criticize the audio business establishment, as well as an audio professional, I was surprised by your omission of active speakers, open baffle speakers and DSP, as already widely available and also very cost effective solutions. This would certainly not impact your support of Benchmark, Oppo and other great manufacturers such as Emotiva. While Emotiva makes some very good and affordable active speakers as an alternative to their separate components and passive speakers, it is still a mystery to me why Benchmark – and despite the quality of the SMS-1 monitors – has not explored an active speaker system, harnessing their unsurpassed amplifier and digital technology. I think the mention of open baffle speakers with active crossovers such as the ones designed by Siegfried Linkwitz, which are sold as DIY kits that are not only cost effective but educational, would be in order and fair here. I also think that the long-standing speaker design work of Clayton Shaw is worth mentioning, considering the very modestly priced open baffle speakers as well as active systems he has introduced with Emerald Physics and Spatial Audio, his own brand. And lastly, I believe that Bruno Putseys’ definitive revolution of speaker design with the Kii audio Three, is worth at least a reference in this context, in which paradoxically substantial advancement in technology and cost effectiveness inevitably coincide. how to set up an optimal audio system. I believe that choices like active studio monitors, open baffle speakers – be it planar magnetic, ribbon, electrostatic, etc. – active crossovers and DSP such as the ones made by DEQX or desgned by Linkwitz, and revolutionary systems like the Kii Audio Three should definitely be mentioned as more cost effective and more efficient solutions than traditional systems with separate components built on now essentially obsolete premises. 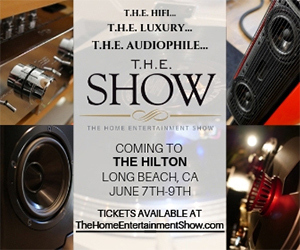 6 state of the art amplifiers, 6 D/A converters, 6 drivers, algorithms and advanced DSP, as flat a frequency response as speakers can render, and full range playback from 20Hz to 25kHz in a small monitor box for roughly $13K a pair, might sound like a lot – and it is. But it would be impossible to match the quality of components, the design and let alone the performance, for the same investment while going for a traditional setup with passive box speakers and room treatment. Considering that some of the very best studio monitors out there, and which do not come close to achieving the same results, can cost a lot more, should add more perspective as to what the Kii Threes represent. I am not writing this comment with the intention to publicize specific brands, but with the purpose of pointing to the more recent advancements and solutions that are undeniably part of what is out there, and that much like Benchmark and Emotiva, are showing the way in quality components and a fair and no-nonsense business models that will hopefully become the standard. The interesting underlying reflection of Siegfried Linkwitz is not about how to make more money with the latest gimmick, its about the principles through which we understand human hearing and thus the assumptions we make in order to produce an accurate and optimum sound system. That his visionary ideas are slowly materializing in the work of some engineers is both interesting and exciting. Especially because the resulting products will improve audio experience while at the same time reducing costs of audio equipment. 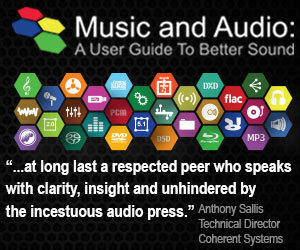 The precise opposite of the audio industry’s infamous business model of more-money = better-sound. Best regards and take care of that precious knee.